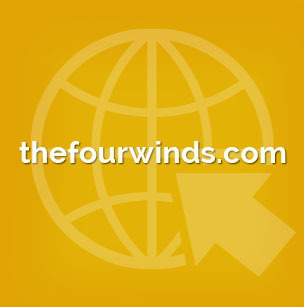 During his many travels all over the world, Alberto Villoldo picked up a number of viruses and parasites that were wreaking havoc with his health. One day he was so tired that he went for a medical checkup. “You should be dead,” said the doctors who evaluated his test results. Alberto had parasites in his brain and his heart was full of holes, and he was told to get on a list for a liver transplant. “I had to grow a new liver, a new heart, and a new brain, and I knew if I went the western medical route that I could probably get a new liver and maybe a new heart, but where was I going to find a good brain? They’re very difficult to come by these days,” he adds with a little smile. The medicine men and women of the Amazon and the Andes know the sacred plants that are able to break into password protected regions of our DNA to trigger the same mechanisms that were functional when we grew our body the first time. 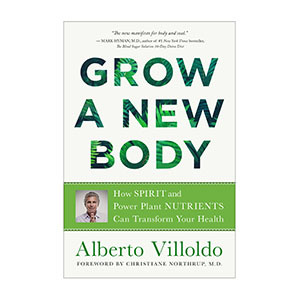 “You can either grow a new body that is a slightly older version of the one you have right now or you can grow an entirely new body that will allow you to heal differently, age differently, and even die differently,” says Alberto. Alberto says you have to become comfortable with your own passing and your own death in order to grow a new body because to grow a new body you also have to grow a new mindset about who you are. Who am I? Where do I come from? Where am I going? These three big questions will launch you on a spiritual quest, help you to grow a new being, and to step into your new being. Alberto and I talked about so much more! 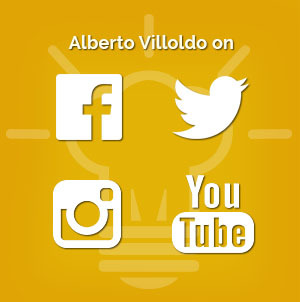 Would you like to know more about Alberto Villoldo?